As the days remaining until the first race of the 2016 campaign are ticking down, some details of the new regulations are about to get finalized. The document containing the final modifications has just been sent to the teams. Formula One's governing body, the FIA, had already issued the new Technical and Sporting Regulation, but there remained some uncertainty on a few details. 'Auto, Motor und Sport' revealed that a document was sent to the teams in which the final details regarding the new 3-compound tyre regulation and modified token system were clarified. According to the letter Mercedes, Ferrari, Renault and Honda will be permitted to use 32 tokens insted of the planned 25 contingent. In the following years 20, 15 and 3 tokens will be at their disposal. That should open up possibilities for struggling engine manufacturers to close in on the field leading Mercedes. 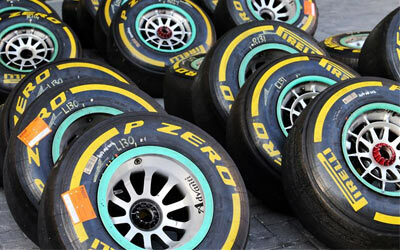 On top of the tokens' quantity, FIA permits the teams to work on every part of the turbo and the hybrid system. Teams can also run power units from the previous year. However, it is not new as FIA permitted it some time ago during the Red Bull crises. It will allow Toro Rosso to use Ferrari's 2015 PU, even though they will be obliged to run a different exhaust system as the new regulations manate a seperate exhaust pipe for the blow-off valve. The maximum race number was also increased to 21 from 20. That means that FIA does not need to ask permission from the teams in 2015 which will host 21 races. Some rules on the virtual safety car system will also be modified. VSC should be implemented also in free practices to give drivers the chance to practise it. FIA also reacted on Mercedes request from Abu Dhabi regarding the wind tunnel usage. From now teams have to nominate one single wind tunnel and CFD-panel right after they hand in their application for taking part in the F1 Championship. Cars remain the same in their form bar one single modification. Headrests will be limited regarding their surface.